Though I didn’t hold this title at my last job, I was effectively the Chief Stereotyping Officer. My job was to create stereotypes about our company and about our competitors. Like all stereotypes, the ones I created served mainly to simplify reality. Reality is complex. I wanted to simplify beliefs, values, and choices. And I wanted to tilt the scales in our favor. My real title, of course, was Chief Marketing Officer. I created brands. And brands are nothing more than manufactured stereotypes. The word “stereotype” has acquired negative connotations over the years. We admonish people not to stereotype. But the propensity to stereotype is innate. I call it a factory-installed bias. In truth, we all stereotype. And we do it for very good reasons. Primarily, we stereotype to simplify the world around us. If one Volvo is safe, we may be justified in assuming that all Volvos are safe. If we had to test every Volvo to determine if it were safe or not, we might never reach a decision. To stereotype simply means that we examine one item in a category – or one individual in a group – and reach conclusions about it. We then project those conclusions on to all members of the group. We do this instinctively. It’s merely a simplifying assumption. And in many cases, we’re right. Most Volvos probably are safe. And that’s the purpose of branding – to convince you that all products from a particular company have common characteristics. While the propensity to stereotype is innate, what we stereotype is based on culture and experience. Stereotypes become pernicious when they’re about people. When we stereotype gender, it becomes sexism. When we stereotype race or ethnicity, it becomes racism or ethnic prejudice. When we stereotype religions, it can lead to apocalyptic religious wars. Stereotypes can also change over time. When I was a kid, products that were labeled “Made In Japan” were assumed to be poor quality. Now the opposite is true. Similarly, when I was young, people talked about “women drivers” as if they all behaved the same way. I don’t hear that kind of talk today so perhaps this is a stereotype that has disappeared. 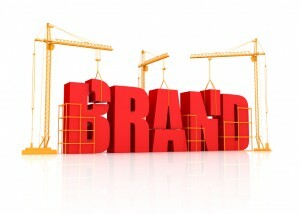 Of course, most branding campaigns are not about people but about products or services. We marketers are simply taking advantage of an innate human behavior. People want to generalize about their experiences. We’d like to help you do that. We simply want to steer those generalizations in a particular direction. People sometimes suggest that stereotyping is the sign of a lazy mind. Actually, it’s the sign a human mind. We should recognize that it’s part of who we are. At the same time, we should recognize that stereotyping people is degrading, erroneous, and just plain wrong. Branding works because it aims directly at human nature. It’s a form of stereotyping that benefits both consumers and vendors. For consumers, it simplifies choices. For vendors, it creates strong reputations. So, let’s use stereotyping for what it’s good for and not for what it’s bad for. And, if you need a Chief Stereotyping Officer, I’m your man.